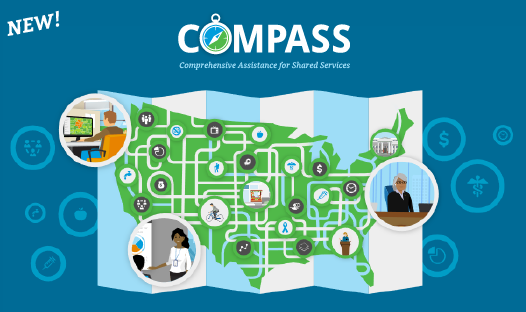 The Center for Sharing Public Health Services has launched a new interactive tool called COMPASS: Comprehensive Assistance for Shared Services. No matter where you are in the cross-jurisdictional sharing (CJS) process, COMPASS will help guide you through each step. Select this link to visit COMPASS. Cross-jurisdictional sharing (CJS) models vary based on state and local characteristics. This new interactive map from the Center for Sharing Public Health Services provides state-specific CJS examples and resources. Learn more. Webinar — Ways to Organize Cross-Jurisdictional Sharing: Collaborations Between Large and Small Departments. The Center for Sharing Public Health Services has worked with a number of teams that have clearly demonstrated the benefits to all parties when health departments of different sizes collaborate. That was the focus of our January 18, 2019, webinar -- Ways to Organize Cross-Jurisdictional Sharing: Collaborations Between Large and Small Departments. Select this link to view a recording of the webinar and to download the slides. The Center worked with the National Association of County and City Health Officials (NACCHO) to identify tools that could support service sharing between local health departments and community health centers. Read the report. The Center has launched a new interactive tool called COMPASS: Comprehensive Assistance for Shared Services. No matter where you are in the CJS process, COMPASS will help guide you through each step. Visit our overview to learn more! Find COMPASS online. Find out what we've learned through the Center's Small Grants Program, which was designed to fill specific gaps in the Center’s knowledge, affirm and/or refine initial learnings, and assist sites in achieving their program goals. Learn more. The Center provides technical assistance, usually free of charge, to jurisdictions considering or adopting CJS approaches. Click to learn more. The Center's website contains a large resource library on cross-jurisdictional sharing (CJS). View recently added resources or select a category by using the button below. The Center's Roadmap helps guide jurisdictions through the process of considering or establishing CJS arrangements. Help Us Find CJS Examples! 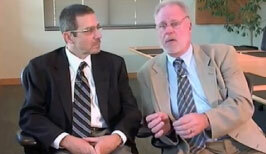 Do you know of two or more local health departments that collaborate in any way? If so, please tell us about it by emailing us at phsharing@khi.org.